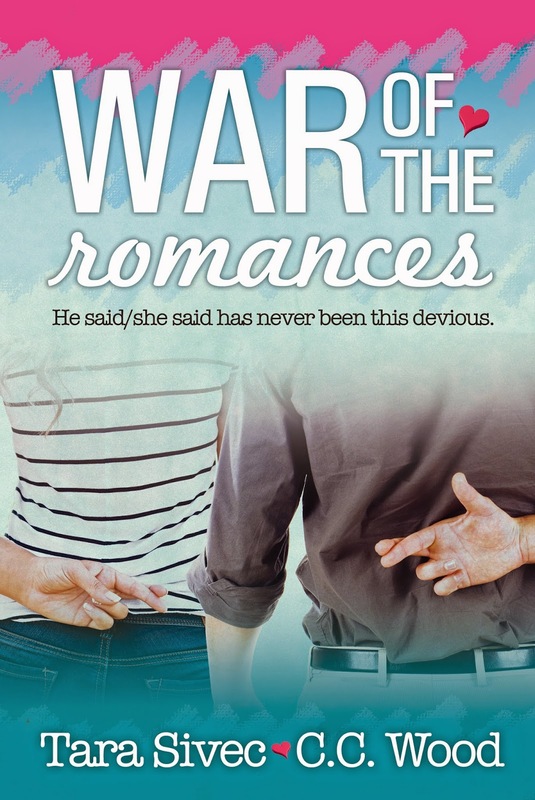 War of the Romances is a new book by authors Tara Sivec & C.C Wood. It is due for release on 24th June. Check out the cover below. chauffeur, maid, short-order cook, baby-sitter, and sarcasm expert. for Best Indie First Book. and naps she'll take when she ever gets spare time. A native Texan, C.C. grew up either reading or playing the piano. from their crazy stories and started writing books. usually spent cleaning up poopy diapers or feeding the poop machine.